Greg Sandoval/Business InsiderJames Murdoch, the CEO of 21st Century Fox and son of the media mogul Rupert Murdoch, could be Tesla’s next chairman. James Murdoch is the frontrunner to replace Elon Musk as Tesla’s chairman, according to a report from the Financial Times. Murdoch has served on Tesla’s board since last year and has faced criticism in the past, with sceptics citing his lack of relevant experience. Musk, who will remain CEO of the company, agreed to step down as chairman of the company’s board for three years as part of a settlement with the Securities and Exchange Commission, which brought charges against Musk in late August for his now-infamous “funding secured” tweet. 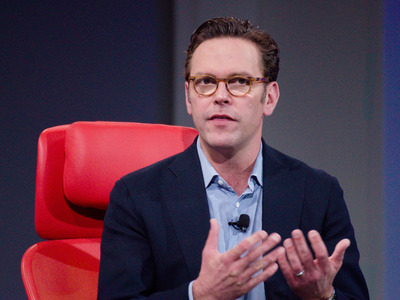 James Murdoch is the top choice to replace Elon Musk as Tesla’s chairman, according to a report from the Financial Times, which cited two people familiar with the matter. Musk, who will remain CEO of the company, agreed to step down as chairman of Tesla’s board for three years as part of a settlement with the Securities and Exchange Commission, which brought charges against Musk in late August for his now-infamous “funding secured” tweet. Musk was fined $US20 million and Tesla must appoint two more independent board members as part of the settlement. Musk was given 45 days to step down as chairman. There had already been speculation that Murdoch, who has served on Tesla’s board as a nonexecutive director since last year,was the leading contender for the chairman position. But Murdoch, the CEO of 21st Century Fox and the son of the media mogul Rupert Murdoch, has also faced blowback from shareholders in the past, with critics citing his lack of relevant experience.